Several more buildings for the village have been built. 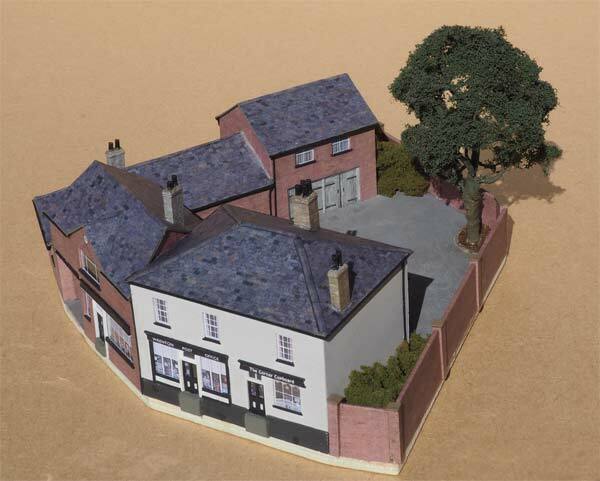 Like the earlier models, these are based on, but not exact models of, originals in Finchingfield. As usual I have made them with some 'foundations' which will be buried into the scenic base. This group will be placed just behind the station, forming one side of an approach road. 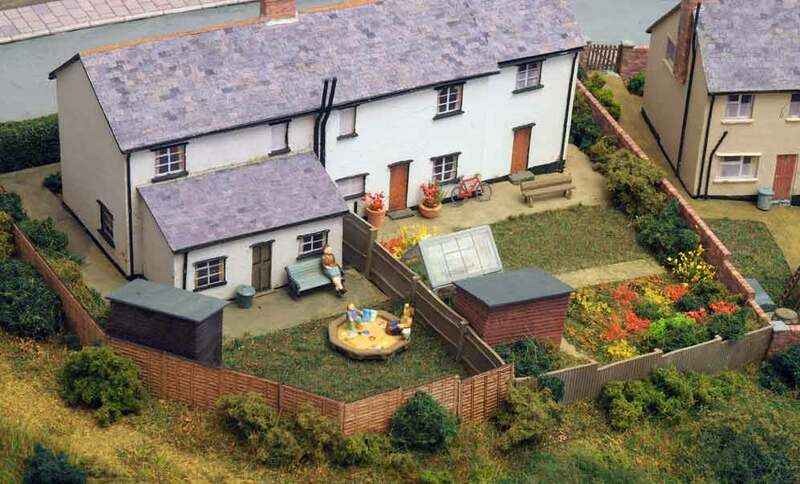 There is still some work to do on it, including painting the chimnney pots and adding some clutter in the yard. The group is designed to be on a slope, climbing away from the station. The white building houses the village post office and a gift shop. The function of the red brick buildings is still to be decided so there's no signage on them yet. 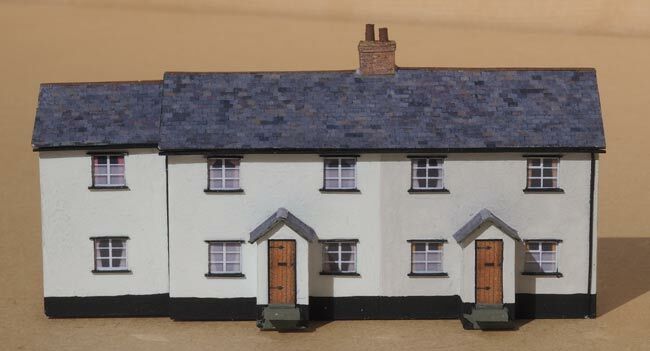 The fronts of these houses are based on buildings in a hamlet near Finchingfield. They will also be on the road climbing away from the station. 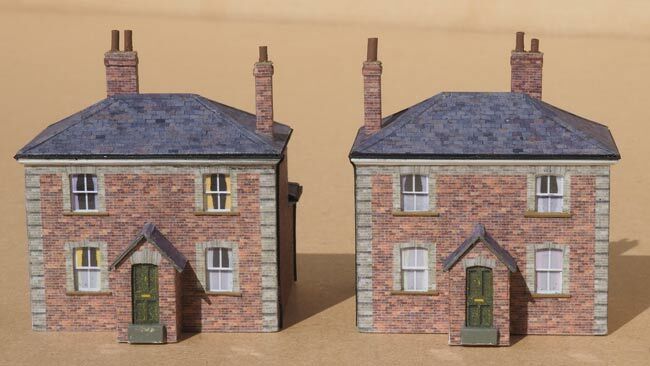 Also intended to go close to the station are these two small cottages built in the same style as the station itself, presumably for railway staff. 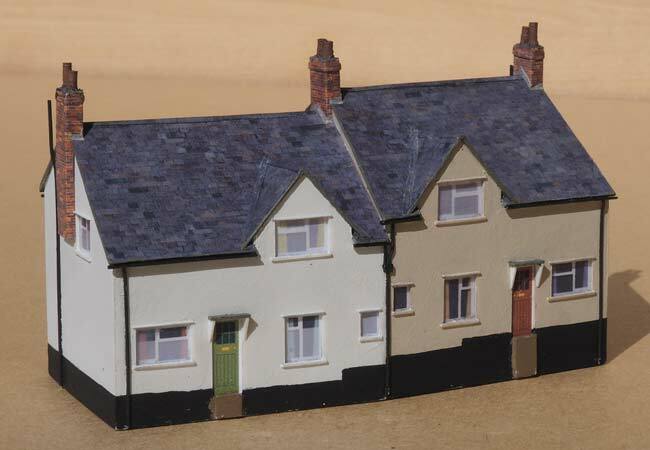 I've not yet decided where these cottages will go, but they may fit in near the station. 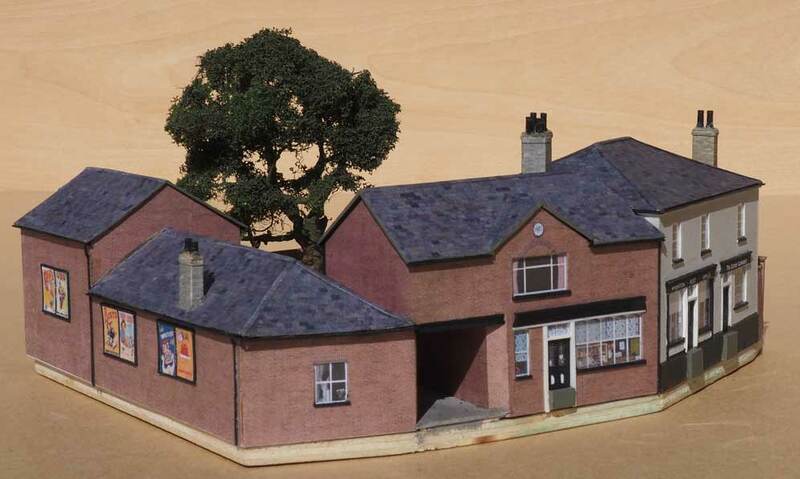 I've got all the main buildings needed for the left end of the layout so here goes with the scenic base to put them on. 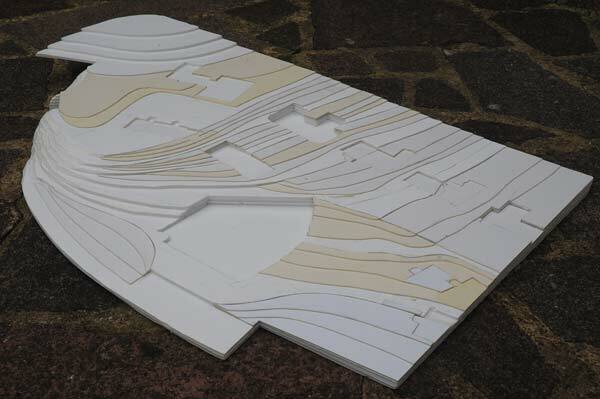 As with the other end of the layout it's made of layers of foam board and card to give the necessary gradients. I've made the cut-outs for the buildings a bit deeper than necessary - it's easier to put some packing under the buildings than to deepen a cut-out later. 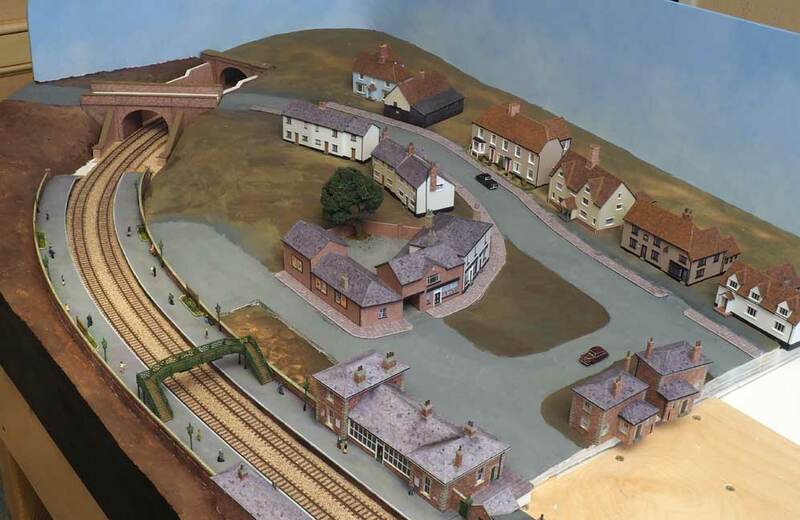 The missing rectangular area at the front right is where the station buildings go and the 'hanging' section at the far left goes over a tunnel portal. 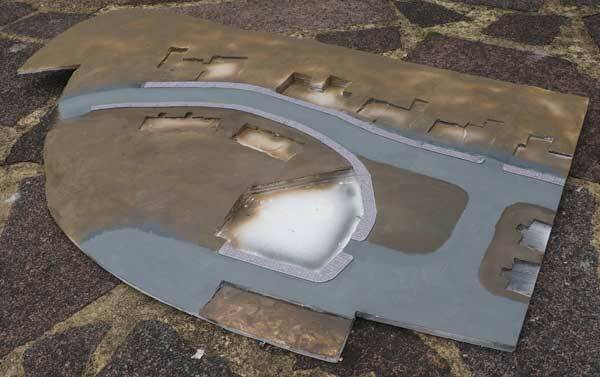 After plastering over the card and foam board the base has been given a spray of brown and the road areas picked out in grey. I've also added most of the pavements. These are printed paper wrapped around 30 thou plastikard. I've positioned three buildings so that they sit across the join between two baseboards in the hope that doing so will help disguise the join. The scenic module is tried for size on the layout. 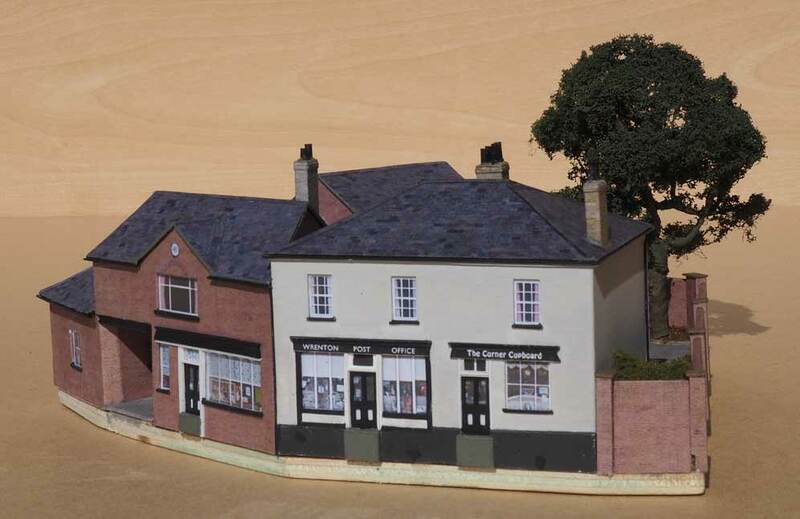 The buildings have been fitted temporarily. 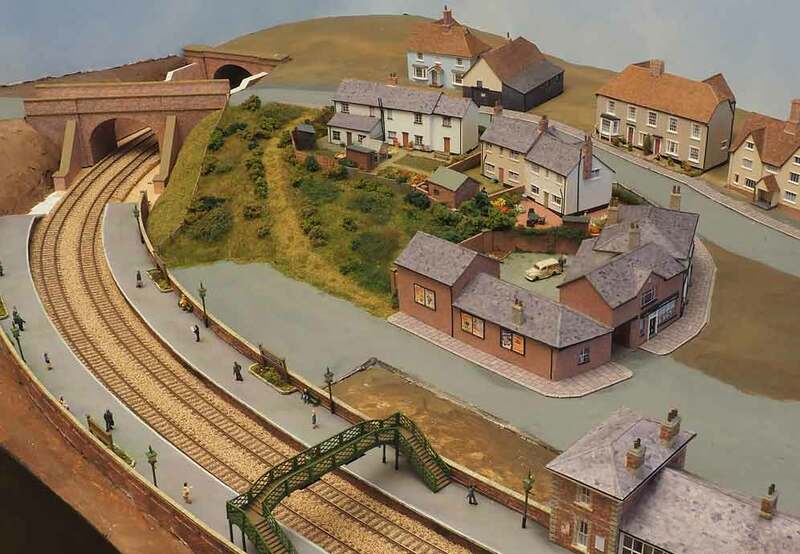 The area of baseboard in front of the track has been built up and the tunnel portal and a road bridge are in place for the photo, though they are not yet complete or fixed. The first buildings have now been 'planted', along with their gardens. Some of the land between those gardens and the track has also been developed. 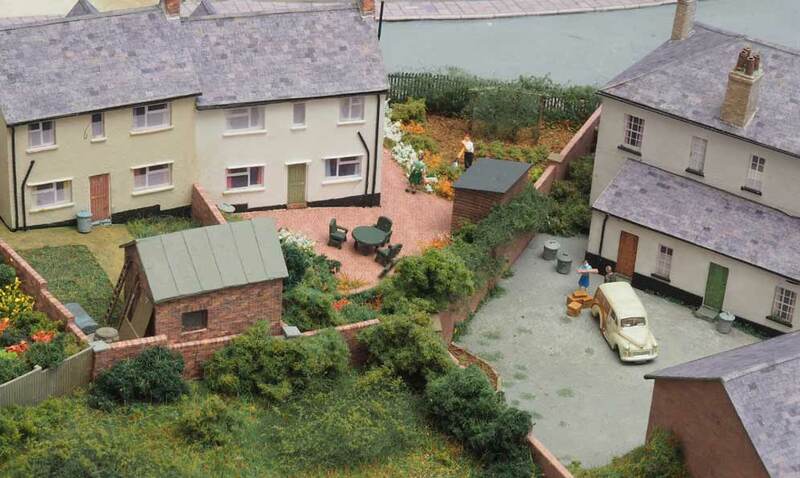 As these gardens face the front of the layout they needed a fair amount of detailing. 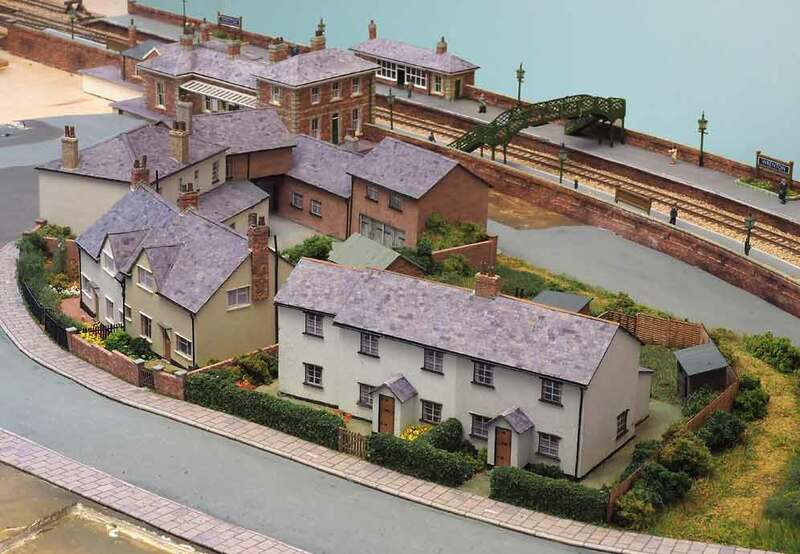 Here are some views from the back of the layout showing the small front gardens.